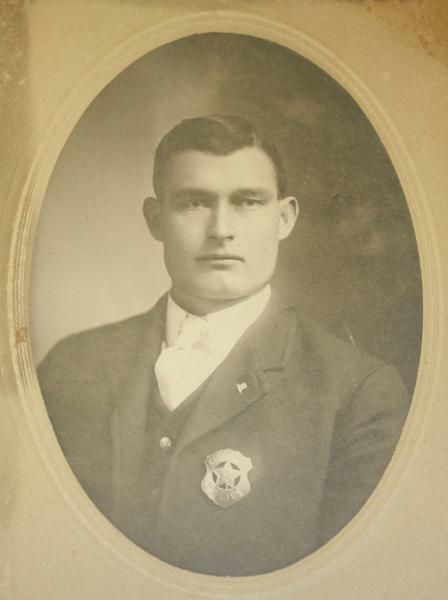 City Marshal Marion Bledsoe was killed when a portion of wall of the Johnson County Courthouse collapsed during a fire. He was assisting firefighters douse the fire and was on the second floor of the courthouse when a wall collapsed, trapping him. Marshal Bledsoe was survived by his wife and two children. Gone but not forgotten. I hope you have met by Dad. He has been there in 'Cop Heaven' since '99.